Most people know what random access memory (RAM) is, but when asked about the technical detail, most of them are not sure, or have no idea about it. In this segment, we’ll clear up some common questions regarding RAM that generally don’t have clear answers. 1: Why Does RAM Erase Itself Every Time I Shut Down My Computer? 1. It is faster to write data onto a blank slot than to delete data from a filled slot and refill it up with another set of data. Since the data it loads to the RAM is different for each session, it is pointless to store those data permanently in the RAM only to delete them on the next boot up. 2. RAM has a much high frequency than hard disk, which makes it ideal to store temporary files so the CPU can process them faster without having to wait for the slow hard disk. With an initial empty state, the system will be able to load as many temporary files as possible onto the RAM without slowing down the whole loading process. 2: Does RAM Clock Speed Really Matter? Yes, and no. Are you overclocking your computer? Then it matters a lot. Chances are you wouldn’t be asking this question if you were an experienced overclocker, though. If you’re just using your computer “out of the box,” then RAM speed doesn’t matter as much. The clock speed for RAM depends ultimately on the CPU controller’s clock. This is multiplied accordingly and, ta-da! Your RAM follows suit. Back in the (terrible) days of SDRAM, speed really mattered. It was the difference between getting a program to open in 20 seconds or 10. But the whole CPU controller clock thing still applied, and you needed new hardware to take advantage of the top speeds. In today’s era, speeds don’t really jump as much as new RAM is released, so you’re in the clear as long as you’re not going to torture your computer by overclocking it. 3: Why Does Getting More RAM Make My System Run Faster? As mentioned earlier, the RAM is the buffer for the hard disk as it stores temporary files for the CPU to process. If you only have a small amount of RAM, once it is full, the computer starts spilling its contents onto the hard drive (in a special location known as the page file/virtual memory/swap), which is a much slower piece of hardware. 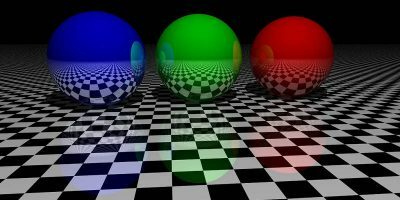 Once virtual memory fills up, your computer slows to a crawl. Your mouse might even fail to move or your clicks will receive no response. When you increase the amount of RAM in your system, you are increasing the buffer for your hard disk so your content won’t be spilled onto the virtual memory. 4: What Makes Some RAM Better Than Others, If Clock Speed Doesn’t Matter Much? Capacity, material quality, quality control, etc. There’s still a lot more to RAM than just clock speed. It’s like asking what makes one brand of window better than the other. If you’re going to buy RAM, get it from a company that will stake its entire reputation on one stick you buy. In other words, make sure the company is performing quality control and testing every stick they can. 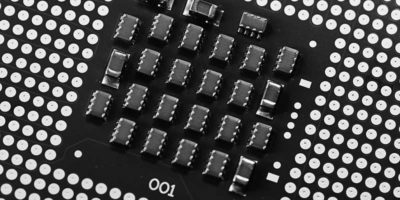 Durable materials are better for overclocking and other forms of abuse. If you’re going for a good stick, just get one that has a good warranty and doesn’t cost too much. Break open an old chip and look at the interior. It looks a lot like glass, doesn’t it? 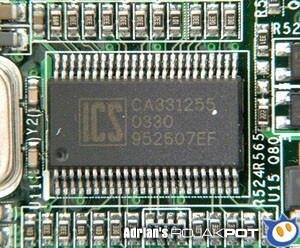 RAM is made, like many other chips, from silicon. The process of melting sand into silicon, coating it, and pressing it into a particular shape differs with each company. Not all companies make their own chips. Some of them buy these chips from others, which makes the purchasing decision more difficult. 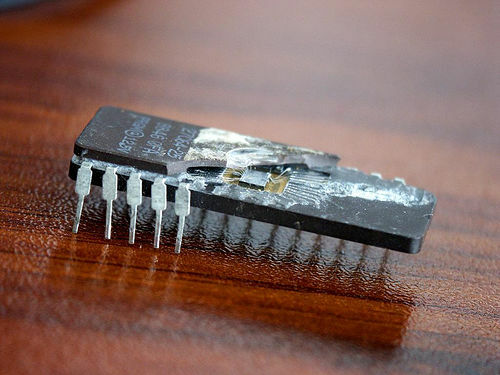 To get a durable chip, you’ll have to rely on a trusted brand. Reading reviews helps, but you’ll never really know what kind of process the company is using. There are so many questions you may still have about RAM, it’s impossible to cover them all. As long as you’re curious, why don’t you leave a comment with your unanswered question? We answer quite quickly around here! #1 is not exactly correct. The RAM loses its data when losing power because it’s dynamic ram, which means it needs power to maintain its data. As to it’s being faster if “empty”, that is also incorrect. It’s over-written, not erased-then-store. Garry, it depends on the motherboard, not the software. Not sure how the formatting will look on that, but this is directly from Microsoft’s website. Essentially any 32-bit version of Windows will have a maximum of 4GB usable RAM. 64-bit versions of Windows 8 can have up to 512 GB with Pro & Enterprise versions, and 128 GB with the standard version (“Home”). That being said, most consumer motherboards will only support 32 GB of RAM at the max, with the more expensive ones allowing up to 64 GB. So it’s a combination of motherboard and OS, really. I bought a new ASUS x75a in May. 4G factory. Upgraded with one 4G stick, Kensington brand and the computer would shut off in the middle of a task and I was running maybe 3 programs at most. The sound “click” and totally dead even plugged into battery backup and puter battery fully charges. Took back had memory changed, still shut off. Bought 8G PNY brand, same problem. (the max ram is 12G). Ordered from Crucial.com – they guarantee compatibility, so far no problems. Is there something wrong with the motherboard or did I have to wild goose chase for compatible memory addition? Probably other hardware in your computer is causing problems. RAM is usually highly cross-compatible. MTE Explains: Can Monitors Really Hurt You?